As the California legislative season comes to a close, dozens of bills that have passed both houses of the legislature are currently awaiting the approval or veto of Gov. Jerry Brown. 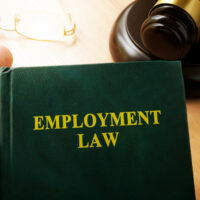 Among those bills are several potential changes to California’s employment laws that could have wide-ranging impacts on California workplaces. Read on to learn about the Gender Pay Gap Transparency Act, one of the potential employment laws that has gathered the most attention this session. AB 1209, titled the Gender Pay Gap Transparency Act, is targeted at further reducing the pay differential between men and women in the state. If signed by Gov. Brown, the new law would require large employers to publicly report the average wages of their male and female employees and board members. The bill has been labeled by the California Chamber of Commerce as the “public shaming of employers” bill. The number of board members or employees which were used for the calculation. The Secretary of State would be required to publish this data on a public site. This would allow members of the public to see which companies have a pattern of paying workers differently based on gender. Workers would not have a right to sue their workplace for gender discrimination based only on a difference in wages as published on the Secretary of State’s website. Opponents of the potential new law argue that providing the difference in average wages for men and women would only tell half the story, since the statistics wouldn’t provide information on the average difference in experience levels or seniority between the two genders. State Assembly member Lorena Gonzalez Fletcher, the bill’s sponsor, argues that it would provide the public with “very precise data about which companies are paying women the salaries they deserve, and which aren’t,” adding that “sunlight is a great way to help expose and address this problem” of disparity in pay for men and women. If you’re facing an issue relating to California employment law and believe you may have been the victim of harassment, or have a question about your rights and responsibilities as an employer under the new laws, contact the knowledgeable Bay Area labor and employment attorneys Richard Koss and Rand Stephens for a consultation, in Antioch at 925-757-1700, or in Redwood at 650-722-7046.